When I was a young mother, there was a lot of talk about “quality time” among those young mothers who were career women. They felt that if they gave their children quality time, it would make up for the quantity of time they weren’t with their children. It sounded good but in practice, it was not good at all. Children are not ignorant. They can tell when they are being neglected. Many of my friends loved coming over to my house during high school since I was one of the few who had a full-time mother at home who made our home warm and inviting. At times, I would go to some of my friends’ houses and their homes were always dark and cold since their mothers weren’t home often at all. “The cliché of ‘quality time’ was invented by Baby Boomer yuppies in the 1980s to rationalize the way their lifestyles deprived their children of so many traditional childhood experiences. Whereas most Baby Boomers grew up in traditional families — perhaps our parents were not as perfect as Ward and June Cleaver, but we still had the basic security of a stable home life — many of the Boomers sadly failed their children in this regard. If you’ve read Barbara Dafoe Whitehead’s book The Divorce Culture, you understand how the cliché of ‘quality time’ insinuated itself into the vocabulary of parenting. “The working mother might not be able to give her children the kind of daily supervision and care she’d like to give them, but she could take them on a three-day vacation to Disney World and say they’d had quality time together. The divorced father might only see his kids one weekend a month, but he could take them out jet-skiing at the lake and tell himself that this quality time made up for the absence enforced by the custody settlement. I have heard too many stories of children going home to empty homes and feeling abandoned. I can’t even imagine what babies and toddlers who can’t speak are feeling as they are being left day-after-day in daycare centers away from their mothers and homes all day. It’s heartbreaking to me and this is why I write about this topic so frequently. Mothers need to go home! 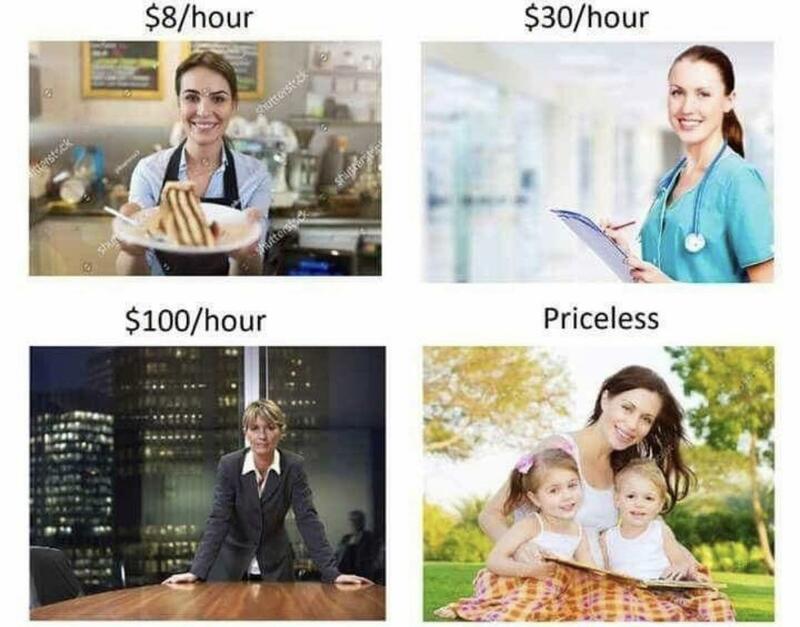 Most mothers make so little money when all is said and done and it’s not worth it in time spent away from the home and children. Being 60 years old and watching my children and now my grandchildren grow up are my greatest blessings in life. Being married to one man for 38 years is a huge blessing. Being home full time to care and raise my own children and now help with my grandchildren, there could be no greater blessings in this short time on earth. Quality time is a lie. In order to raise godly offspring who know the ways of the Lord, they need copious amounts of quantity time with their mothers. It’s not something that can be short-changed. Do not sell your souls to gain the whole world, women. Sacrifice your own “needs and desires” to be home full time with your precious children; those blessings from the Lord with eternal souls. …bring them up in the nurture and admonition of the Lord. Indeed! It’s appalling that the new generation is being raised neglected as latch key kids! No wonder they find trouble and act out and find bad people to fulfill their lack of parental support! If you don’t spend time to raise your kids, someone else will, and you may not like who that someone will be! NO career is worth more than a child’s right to a stable childhood! I completely agree with this. 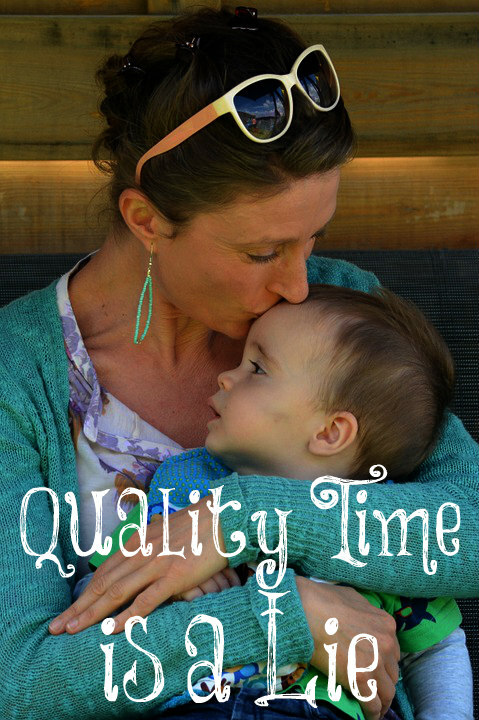 “Quality Time” is great, but only as an adjunct to day to day, constant, consistent parental care, control and maternal responsibility. On it’s own, it is actually counter productive. It encourages children to regard time with their parents as a novelty and what time they do spend together lacks the structure and consistency of approach needed in the long term. This is a hard one for me to swallow! As a child I desired “quality time,” but as you put it I’m not sure I would have wanted quality time if I had the quantity time. My desire stemmed from feeling there was no individualized attention from my mom unless it was related to sports. 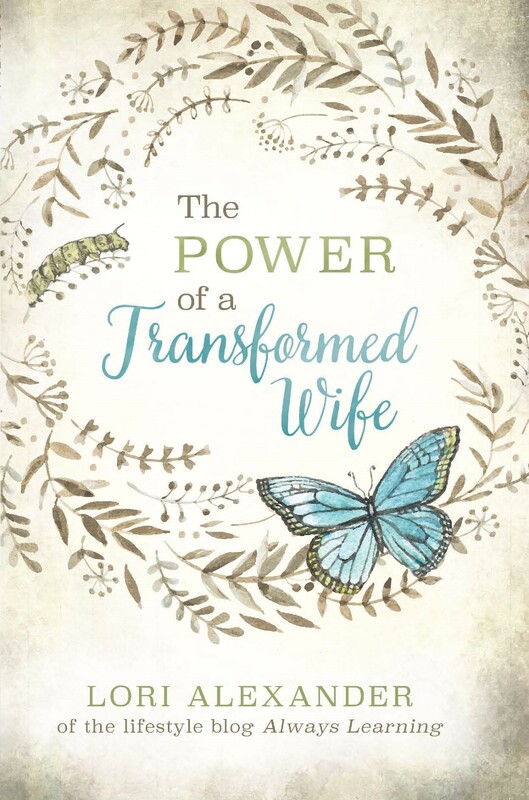 As a side note, today’s culture minimizes the need for stay-at-home parenting…but especially in a culture that praises single mothers, the role of a father is minimized. Having grown up in this culture, I have watched friends and family become mothers who find it hard to share a parenting roles because they think women can do it all. These women get angry at their husbands for not helping enough, feeding the kids differently than they would, not following the schedule the mothers have set, etc. I see these men trying to take part in kids lives, but being pushed away. Even when I talk to my husband about how I see my role as a mother, as we try for a family, he comments that it sounds like I plan on not needing his help at all… if you are so inclined, would you mind writing or pointing me toward an article on parenting as a team, rather than attempting to single-parent in a two-parent home? You will have to consult with your husband, but I have such fond memories as a young child of my father getting home from work right around dinner time. We would all have dinner together where he would ask about our days. If it was summer, we would go on a bike ride with him or play in the backyard at twilight. My mother would be cleaning up dinner or having some time to herself at this point. Then, he would bathe us and put us all in our pajamas and pick out a story for us to read. My mother read to us all day, so this was special time to read with Daddy. As we got older, this reading time turned into him checking our homework, discussing current events, or watching National Geographic and the news together. My Dad also drove me to many of my sports games and loves to play sports with us or cheer us on during the weekends. Even when he had chores to do (mow the lawn, wash the car, clean the garage, etc.) he would involve us kids and teach us how to help him. This is just one approach, coming from a man who loved children and had the blessing of a job that had regular 9-5 hours M-F. Your husband sounds like this since he wants to be a “team” and more “hands on.” However, I will say, that my mother’s “schedule,” since she ran the planner, was never overruled by my father since this time with him was basically built in around dinner/after dinner time. He also did not like to deal with the consequences of late bedtimes, spoiled appetites, etc, so the special times he did ruin our “schedule” are few and far between, but very cherished, and did not bother my mother as they were so seldom. Dad’s are so, so important!! They’re important right from the start, and as the kids grow, I think they get more important. Especially for boys – boys need Dad in their lives as they mature more than ever. And his bigger hands meant he was able to bath bubs much easier than I could, and he wasn’t so afraid of accidentally dropping and drowning him. You’ll find you each have strengths and weaknesses you’ll bring to your role as parents, and as you navigate your journey of parenthood together, you’ll learn to complement each other. It doesn’t matter if Dad dresses bubs funny, or if he is awkward putting on the nappy. Let him do it! Let Dad do as much as he wants to do, because honestly, good hands-on dads are hard to find. And you’ll appreciate him so much when you’re watching him playing with the kids as they grow. Our littlest boy is 6 now, but even now, he and daddy have a bedtime routine – I read a story, then he hops into bed with dad and they watch Donald Duck cartoons for a few minutes and talk and giggle together before bed. It’s so sweet. I have no doubt that if you decide to go into this together, finding your way together, you’ll do great! And… BOOM! there it is. I LOVE that this blog is so convicting. this is a good blog post, Lori, thanks for this. By the way, just to let you know, there seems to be an issue with your facebook page technically- it won’t let me reply to comments on there? i did check my FB to see if there is an issue with my account, but the issue seems to be only on your page. am not a spammer, a troll or a feminist, so it must be a mistake. no way would i have been blocked, i have said nothing offensive on there. please when you have time, check it out. The Bible states otherwise, Caro, for happy is the man who has a quiverful of children! Children love having siblings and the beauty of it is they come one (maybe two) at a time. There are many blessings to having many children! Lori, please, please never give up on encouraging parents (both mothers and fathers!) to spend time raising, loving, training their children! Yesterday, NZ woke up to the tragic news that 3 teenage boys had been killed in a fiery car explosion – they’d stolen a car and were fleeing from Police. Two of these boys were brothers aged 13 and 16, the third boy was their 13 year old friend. One of these boys was in state care, the two brothers were being raised by their solo mum. No dad in the picture. These boys were out at after 11pm on a Sunday night, not just up to normal teen mischief, but serious crimes, threatening innocent lives (driving at excess of 130km/hr on a residential street with a speed limit of 50km/hr) and lost their own lives. These boys were let down by their parents. It is absolutely heartbreaking. It wasn’t the first time these boys had stolen cars, either. Please, please, parents – love your children! Look after them! Make sure you know where they are. Tuck them into bed at night. Make sure they stay there. Give them boundaries. Enforce those boundaries. Make them listen. “Quality time” isn’t enough. We need to be with our children ALL the time, if possible. The absence of fathers in children’s lives is tragic as you gave an example. They NEED their parents and their mothers home full time protecting, guiding, and nurturing them. The quality time vs quantity time was an argument that we heard and had used on us as a couple, but not in the fact that I worked outside the home. It was as we were having children that we were told that if we had too many, we wouldn’t be able to give them the quality time they needed. It’s just not true. Our family has done everything together. We worship together, sing together, clean together, laugh together, cry together, cook and bake together, eat together, play games and rough house together, garden together, homeschool together, work together, vacation together, …. Because that’s just what a family does. And when one of us needs our space to just be alone, we give that to each other…until we are all together again as a family. We are strengthened by our unity and by Christ our Savior. Yes, I agree! I have heard many say they only want a couple of children so they can give them “quality time.” One of the best gifts parents can give their children is more siblings! It makes them learn how to share, they have playmates and friends for life, and there are so many great things about having large families. i wouldn’t have liked to be an only child. that would have been lonely. QUANTITY has a quality in and of itself. It is impossible to have quality time without quantity time. Children have what, for want of a better term, are approachable moments when they are receptive to talking about important subjects. You have to have quantity time to catch those approachable moments. Of course you have to actually “be there” when you are there. If your child approaches you while you’re watching TV, or looking at the Internet, turn down the volume and turn away from whatever you are looking at or doing and pay full attention to the child.